Taking inspiration from the Tour de France, this special edition men's Tissot model features a stainless steel case with an engraved back presenting the TDF logo. 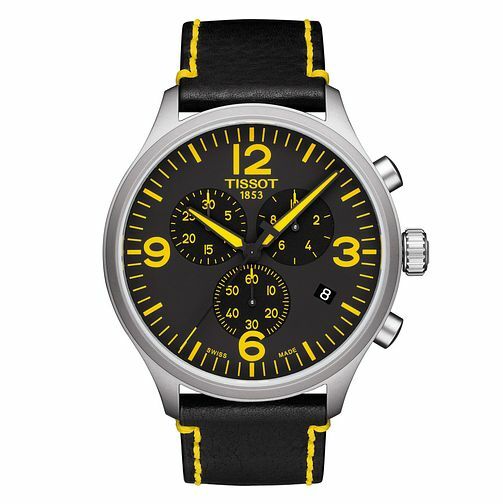 A bold black and yellow dial makes this watch pop, with co-ordinating leather strap. A handy date display is placed at the 4-o-clock mark, and this timepiece is water resistant up to 100 metres.